Collaborating with Jamaica!! are Sly & the Family Drone, a primal orchestra of drum rhythms, radiophonic oscillator noise and electronically-abstracted vocals. Using only drums and processed cassettes, Sly & the Family Drone incorporate elements of avant-garde music and sound art in their performance. Supporting Jamaica!! 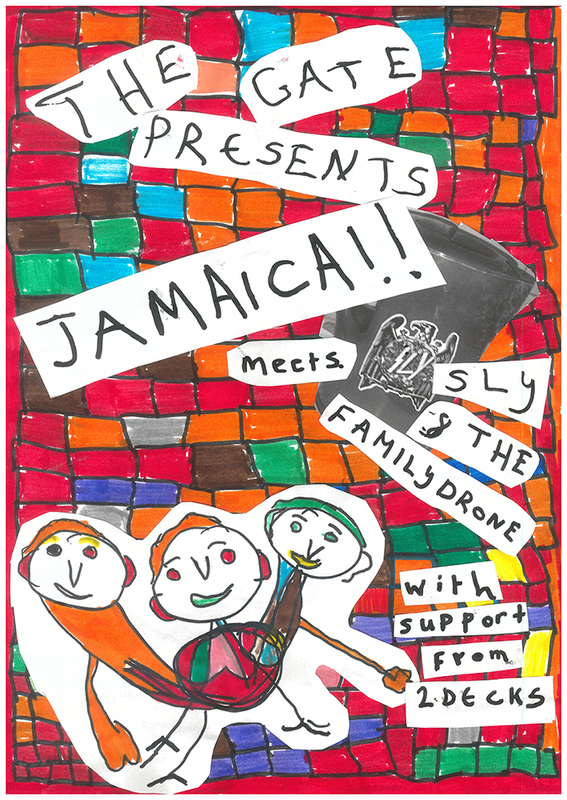 and Sly & The Family Drone are rock/rap outfit 2Decks, who have a reputation for blowing expectations of what ‘learning disability’ means.